Home / Blog / /Enterprise Mobility , Software Development /Enterprise Mobility – What, Why & the Challenges! Enterprise mobility is a channel for distributing information through mobile devices. Communication with suppliers, employees, partners and even the customers irrespective to their geo location is made easy by enterprise mobility. 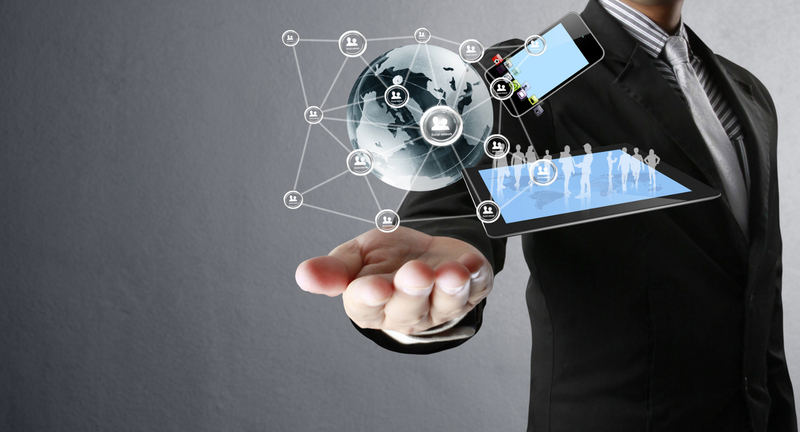 Enterprise mobility will alter the way how people work. Organisations that wants to remain competitive cannot overlook that human beings are increasingly moving towards the mobile world. Mobile devices like tablets, mobile handsets and laptops have drastically changed the way people work. Nowadays, enterprises are looking for ways to increase the implementation swiftness of the businesses, improve productivity and also to respond faster to ever swelling customer demands. Enterprises are not just mobilising their sales and support but also the cross functional communication. This helps in improving work-life balance among the employees. Integrating business devices with messaging, email, voice, intranet and internet. 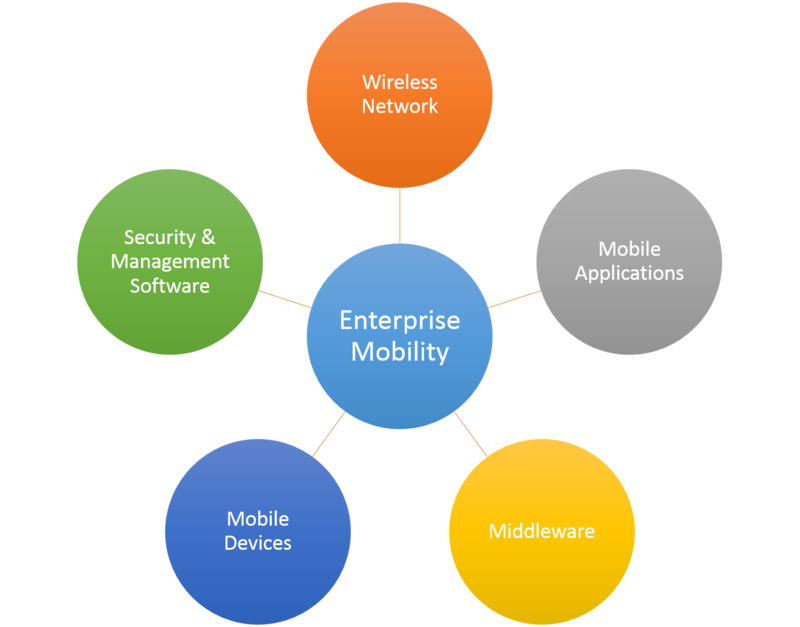 Now the question is – Why Enterprise Mobility? Enterprise mobility increases the productivity of employees by empowering them with the data required to complete their task on their mobile devices. This prevents possible turn around delays. By deploying enterprise mobility solutions there will be reduction in time required for decision making, improvement in employee receptiveness, swift issues resolution and better customer satisfaction. With enterprise mobility in position, communication will be smooth among employees and stakeholders. This is turn reduces the admin cost and time. Since mobility helps in real time communication and monitoring it drives managers to focus on best practices with regards to customer acquisition and retention. Enterprise mobility enables real time communication between mobile devices and the work flow management system. Thus dropping the delay in executing tasks which are pending for approval or review. This also empowers enterprises with a tool that can track or monitor the mobile workforce in real time. Enterprise Mobility looks like a promising area for companies to move ahead with to improve on productivity and collaboration. Few key challenges faced by businesses in adopting Enterprise Mobility are mentioned below along with way to address those challenges. Disruption of Business Processes: Critical IT systems which are extended to mobile platforms fails during any period, can increase the turnaround time and hence cause problems for the service levels and the revenue projections. Higher Cost of Maintenance: If the mobile architecture is not built properly, this would result in manual intervention to maintain. Manual intervention would hence lead to more time. Businesses needs to create a mobile strategy for employees when handling issues like increased security, multiple device support etc. Businesses needs to develop similar strategies by collaborating cross-functional teams or departments. User: Business needs to define the exact profile of the user from whom enterprise needs to be enabled. The user profile would be based on the business objectives which the business wants to achieve through enterprise mobility. Objectives: It’s important for the business to look for situation where the mobile application can be integrated into daily business processes. They will have to define pre-defined objectives before enabling enterprise mobility into their business. Methodology: Once the target users and the objectives have been aligned, an operational methodology needs to bring in to meet the objectives. Technology: Selecting the right technology for assisting the mobility initiatives is a very tough task to achieve. Since there will be various options available, like, choosing the right platform and mobile devices. Hence it’s very much necessary to select the right technology to bring everything on the same page for rolling out enterprise mobility. Initially the cost of providing enterprise to a large user base will incur a higher cost. This is because businesses have to procure mobile devices, tariff plans, software licences etc. This can be smoothly dealt by businesses by choosing the right pricing model with the vendors while enabling enterprise mobility. Enthusiastic business who are willing to adopt enterprise mobility are unable to create a ROI model on the investment which will be made. The challenge here with the new communication channel is that of the tangible metrics for measuring the return on investment. This is because, when business deploy the enterprise mobility solution it needs to invest on resources as well as money to support the activities. Enterprise mobility has been evolving and businesses are recognising the benefits. They are becoming the game changer for corporates and it’s also helping them retain their young talents by giving them freedom in their work environment.